An 80-year long Harvard study has found good friends are more important to happiness than money or success. The study - which is one of the longest on adult life - first started tracking 268 Harvard students during the Great Depression in 1938. 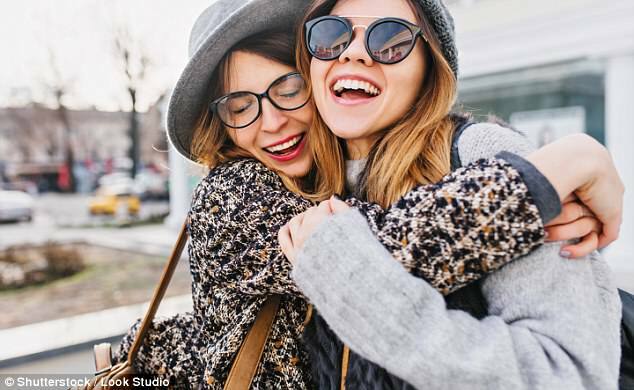 Eight decades later, researchers have revealed how happy we are in our relationships has a strong influence on happiness, and as a result, on our overall health. The original participants in the eight-decade long study included President John F Kennedy and Washington Post editor Ben Bradlee, writes Harvard Gazette. The men included in the study were given regular interviews and questionnaires throughout the course of the study. Nineteen of the original recruits, who are in their mid-90s, are still alive and now the men's offspring, who now number 1,200 are also included in the study. Researchers studied their health and broader lives of the participants, including things like how successful their careers and marriages turned out to be. They found good friends protected people from mental and physical decline, and gave a better idea of how long someone's life will be than their social class, IQ or genes. 'The surprising finding is that our relationships and how happy we are in our relationships has a powerful influence on our health,' said Robert Waldinger, director of the study, a psychiatrist at Massachusetts General Hospital and a professor of psychiatry at Harvard Medical School. 'Taking care of your body is important, but tending to your relationships is a form of self-care too. That, I think, is the revelation', he said. Researchers found that the quality of people's relationships at 50 was a better predictor of physical health than their cholesterol levels. 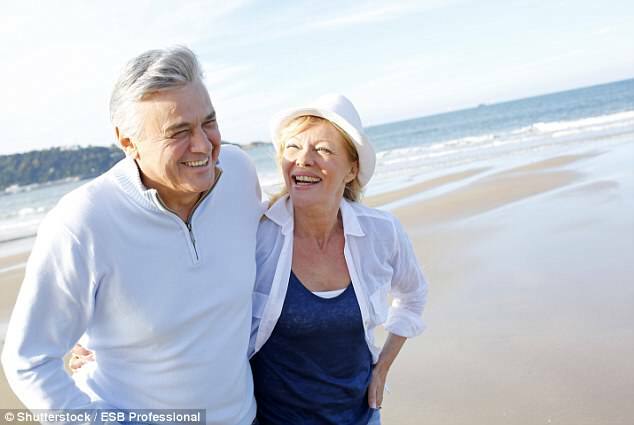 'The people who were the most satisfied in their relationships at age 50 were the healthiest at age 80', said Dr Waldinger discussing the research in a TED talk. 'Good relationships don't just protect our bodies; they protect our brains,' he said. WHAT IS THE 80-YEAR LONG STUDY ON HAPPINESS? Harvard researchers looked at data 268 men who went to Harvard College. The study - which is one of the longest studies on adult life - first started tracking Harvard students during the Great Depression in 1938. The men were given regular interviews and questionnaires through the course of the 80 year study. To gauge the participants' early home environment, the researchers looked at reports about their home life, interviews with the parents, and developmental histories recorded by a social worker. When the participants were 45 to 50 years old, they completed interviews in which they discussed the challenges they encountered in various aspects of their lives, including their relationships, their physical health, and their work. Using the original interview notes, the researchers then rated the participants' ability to manage emotions in response to these challenges. Finally, when participants were in their late 70s or early 80s, they completed an interview that focused on their relationship with their current partner. Eight decades later, researchers have revealed how happy we are in our relationships has a strong influence on our overall health. Close relationships are far more important than money and fame and will keep people happy into their old age, researchers revealed. Those with happy marriages in their 80s suffered less when they experienced physical pain whereas those in unhappy marriages got more emotional and felt pain more. Researchers also found women who were more attached to their partners were less likely to feel depressed. They also had better memories than those who argued all the time with their partner. In 2016, the study released other findings that showed men who grew up in caring homes were better at dealing with stress. Dr Waldinger said: 'Our study shows that the influences of childhood experiences can be demonstrated even when people reach their 80s, predicting how happy and secure they are in their marriages as octogenarians.